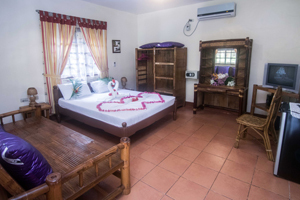 Aircon Plus Rooms are for guests who like more space, or for families who require an extra bed. Our Aircon Plus Suites satisfy guests who expect more luxury and comfort. They all have cable TV. In all Aircon Plus Rooms we offer you a hairdryer and splitaircons. Please notice our Terms and Condition on bottom side of this page! Prepayment: Only 10% prepayment is required to confirm your reservation. This amount is nonrefundable. Final payment: The remaining balance shall be paid cash at the hotel during check in.